FCF operates in five different wildlife protected areas throughout northern and western Tanzania. More than 120 full-time field-based rangers are trained and equipped and operate as rapid action teams (RATs) and specialized mobile anti-poaching units. 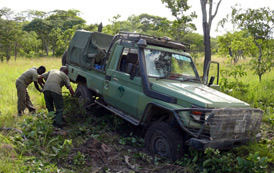 Providing anti-poaching teams that consist of highly motivated and professionally trained rangers actively supports the Tanzanian Wildlife Division and their anti-poaching efforts. 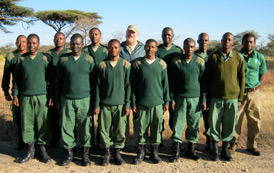 FCF trains, equips and employs 120 full-time field based rangers. 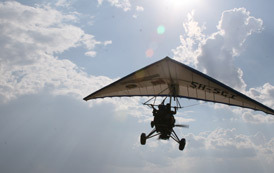 These rangers work under the guidance of two microlight pilots, five concession managers and two mobile anti-poaching coordinators in the field, all of who report to their head office in Arusha. These field staff and managers are configured into ten rapid action teams (RATs) and one specialist mobile anti-poaching unit.